Less than 2 hours until 2011 – it must be time for a year-end retrospective! If there’s one word I could use to sum up 2010, it would be “busy”. I racked up a huge amount of overtime at the day job this year, and on top of that, I spent many hundreds of hours working on my iOS apps and updates. It wasn’t all work, though. I still managed to attend most of the local Bonsai meetings during the year, along with 3 Bonsai workshops. We also had a great time on our epic road trip to South Dakota. Up until last year the primary focus of the blog was my fiction writing. For 2010 this took a back seat to writing and marketing apps. Among the usual app announcements, I wrote two well-received posts documenting my experiences with the App Store, specifically the performance of Story Tracker and all the gory details that went along with it. Since moving the blog from Livejournal to my own site, I’ve been able to move the Twitter updates off to a sidebar instead of having them clutter the blog itself. I’m still a regular on Twitter, mostly following other iOS developers and writers. You can look me up at @andrewnicolle. My general “write more” goal for 2010 didn’t turn out exactly how I’d expected. Instead of referring to words of fiction, it actually turned out to be C and Objective-C code 😉 The only activity related to fiction writing I undertook in 2010 was to keep a collaborative tale doing the rounds of various writing markets. This is one of my earlier pieces, written together with another member of the CriticalMS writing group several years ago. While it hasn’t sold yet, I think we both still believe in it and hold out hope it’ll find a nice home someday. This tale is a blend of historical fiction and Egyptian mythology with a twist of weird fantasy, similar in tone to much of Lovecraft’s work. If anyone knows of any good horror markets, let me know! On my commutes and workouts I mostly listen to podcasts, with the following being my staples: Comic Geek Speak, Just Bill’s Comic DrawerBox, and the Comic Book page podcasts (The Mayo Report and Spotlight episodes). Probably my greatest accomplishment for 2010 was the release of my second iOS app, Artwork Tracker. I was looking for what I hoped would be a quick project following on from Story Tracker, and creating a similar app for artists sounded like a good idea. I would leverage the Story Tracker code-base, changing fields to be more applicable to artists and adding the ability to store images in the database. Well, it turned out to be a lot more complicated than I’d expected, taking 4 months and well over 300 hours of effort from conception to release on the App Store. Much to my surprise, the app was approved by Apple a mere week after submission, hitting the App Store on December 16th. I was pleased the final development crunch paid off, and I was able to get the app online before Christmas. I’m not yet sure if I’ll put together a numbers post for Artwork Tracker, but I’ll say that so far its performance has been similar to how Story Tracker did soon after launch, despite putting tonnes of extra effort into marketing this time around. On the plus side, Story Tracker is still selling a handful of copies a week after all this time. I might actually recoup my development costs in 2011! Throughout 2010 I continued to attend the monthly meetings of the Midwest Bonsai Society, along with the shows they run at the Chicago Botanic Garden. This year I visited 4 Bonsai shows, three of which were at the Chicago Botanic Garden, and one at Morton Arboretum. I also attended 3 workshops (Natal Plum, Japanese White Pine, San Jose Juniper), along with a show critique by Bonsai master, Michael Hagedorn. This year I added a bunch of other new trees to my growing collection, including a Trident Maple, Willow Leaf Ficus, Fukien Tea, and a Dawn Redwood. I’ve learned a lot more about Bonsai this year, especially about styling and jinning, and I’m looking forward to building on my newfound knowledge in 2011. While travel wasn’t quite so extensive this year, we still managed a decent number of road trips and saw plenty of cool sights. We had the usual trips to Michigan throughout the year, but our big summer trip this year was to South Dakota. We had a fantastic time! We spent a few days driving there, staying at a cabin upon our arrival. We visited a bunch of places I’ve been wanting to see for years, including Mount Rushmore, Crazy Horse, Deadwood, and the Badlands. Not to mention all the great places I never even knew existed. We even made the pilgrimage to Douglas, Wyoming; the birthplace of that great American mythological creature, the Jackalope. This summer we also had one of my sisters and her family stay with us for the first time. Seeing my little nephew and visiting the air show in Oshkosh were definite highlights. For 2011 I’d like to get back into my regular workout habit, having abandoned it for much of this year in favour of more hours in front of a computer. I don’t think it’s wise to sacrifice my health for the sake of work. I’m not planning any firm writing goals, but it’d be cool to write a few short stories and send out some of my inventory again. And as usual, I want to read more. As for my app plans for 2011, they’re still up in the air. I’ll be working on some updates for Artwork Tracker and Story Tracker, but haven’t yet decided whether to throw my hat into Mac development, or stick with iOS apps for now. The launch of the Mac App Store on January 6th makes Mac application development a tempting proposition! Best wishes to everyone for 2011. May you have a happy and productive New Year! 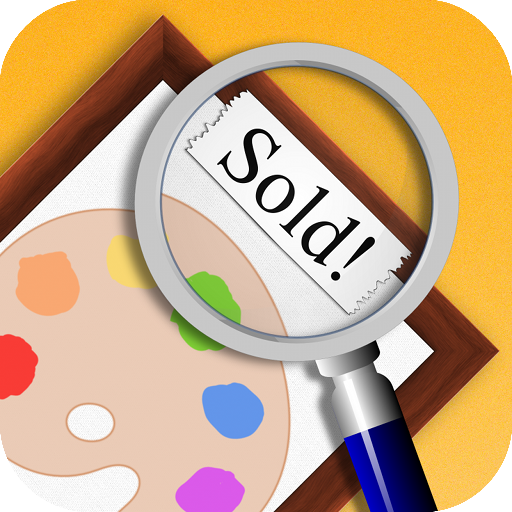 Artwork Tracker is now available on the App Store for iPhone, iPad, and iPod touch. I’ve been hard at work over the past 4 months working on my second iOS app, Artwork Tracker. I thought it would be a simple task to build upon the Story Tracker codebase. It ended up being a good deal more complex than anticipated. In case you’re not familiar with it, Story Tracker is a submission tracking tool for writers. This app allows the writer to keep track of all their story, market and submission data while on the go. My goal with Artwork Tracker was to do the same thing for artists and art collectors, but this time with a more visual approach. Not only does Artwork Tracker keep track of art details, clients, and submission data, but it also stores full-screen artwork. The artwork is captured either via the device camera, or from the photo library. It’s stored internally in high resolution, scaled up or down when displayed depending upon the capabilities of your device. Artwork Tracker takes full advantage of Retina and iPad displays, but also works great on previous generations of hardware with iOS 3.1 or higher. The Artwork Tracker database itself is portable between your various devices, so you can back it up to your computer over a local WiFi network from either an iPhone, iPad, or iPod, and restore it onto another Apple device. You can also import or export data without modifying the existing data on your device. The main tab of the app displays thumbnail images for each work of art, either in table form or in a scrollable grid. This makes it easier to locate an item in your collection visually, or based on the title. The Artwork Tracker user interface has been customized extensively, ranging from the distinctive navigation and tab bars, down to minor details like the buttons and table section headings. Besides providing a fancier, more polished appearance, I hope these customizations improve the user experience and enable artists and collectors to showcase their artwork within the app. I was hoping to release Artwork Tracker in time for Christmas, and today those hard-working folks at Apple obliged. I’m truly impressed with their turnaround time at one of the busiest times of the year. Let’s hope they get plenty of rest during their holiday break! You can find more details on the main page of my website or on the Artwork Tracker Facebook group. If you’re not entirely convinced Artwork Tracker will work for you, there’s even a free Lite version you can try out. This version is limited to 5 artworks, 5 clients and 5 submissions, and only supports backup and export over WiFi. Otherwise it’s identical to the full version. I hope both artists and collectors alike find Artwork Tracker useful, and I welcome any feature suggestions and comments you may have.